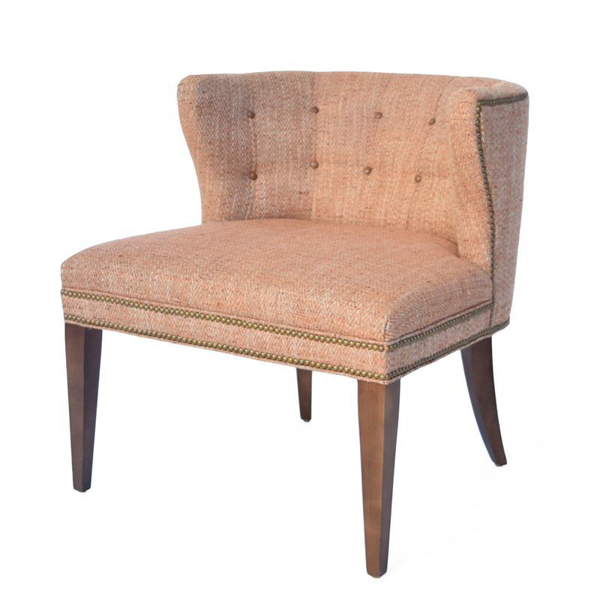 The Ashley Chair is an eye-catching, upholstered chair with glamorous, button-tufting on the back. This beautiful chair features high, curved arms that seem to hug you as you snuggle into its plush seat. The Ashley Chair in Artisan Spice fabric will quickly become your favorite place to cozy up and read your favorite book! Dimensions: W 26" x D 30.5" x H 30.5"